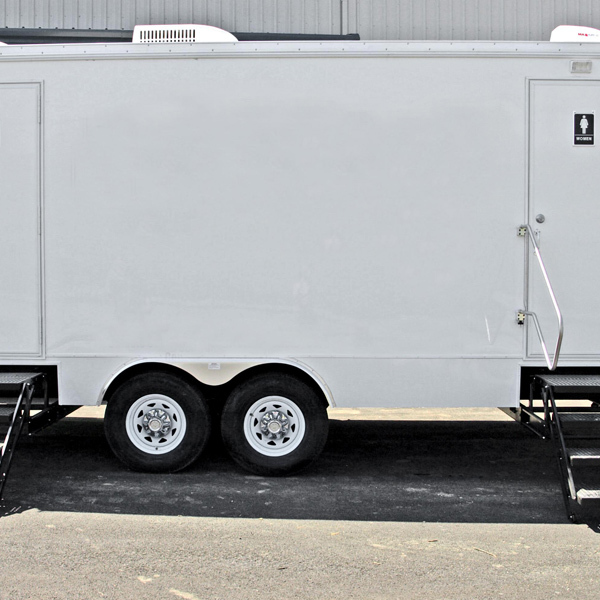 This pre-owned, large restroom trailer for sale has a great design that allows a lot of flexibility to the professional restroom trailer operator. 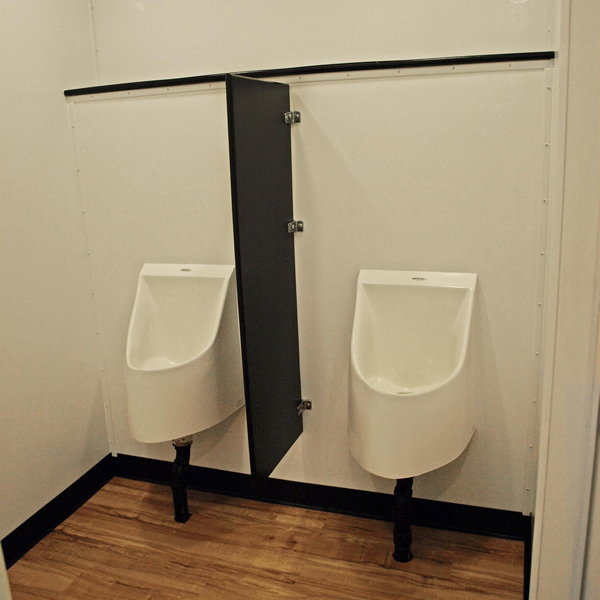 Its convertible design allows it to be used at locations that need primarily men’s facilities by closing the locking door between suites. 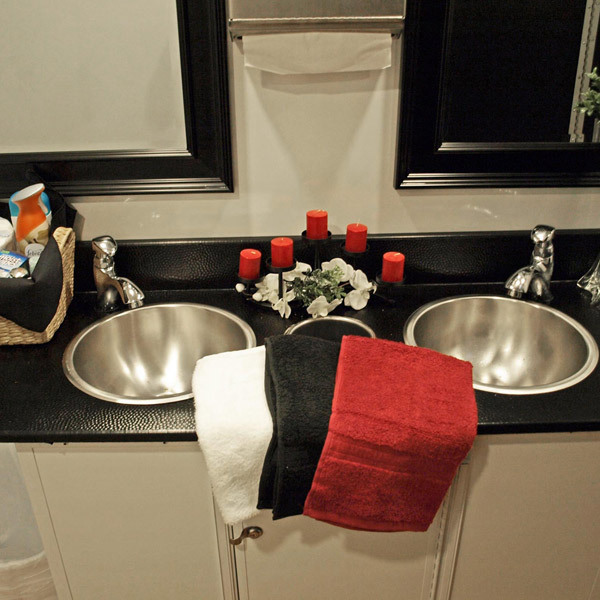 This creates a six station trailer that has three toilets and two urinals on the men’s side, and one toilet on the women’s side. 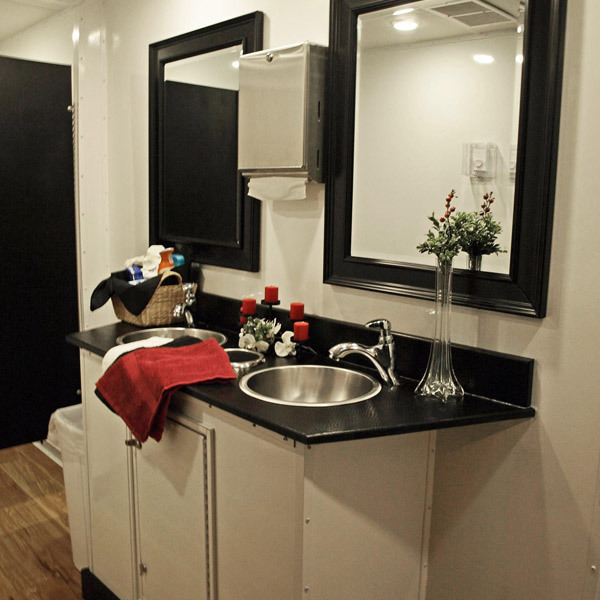 If you are using the trailer for a special event such as a wedding, and you want an even distribution between men’s and women’s facilities, simply open the locking door and close the locking pocket door. This creates a restroom that has three toilets on the women’s side, and one toilet and two urinals on the men’s side.